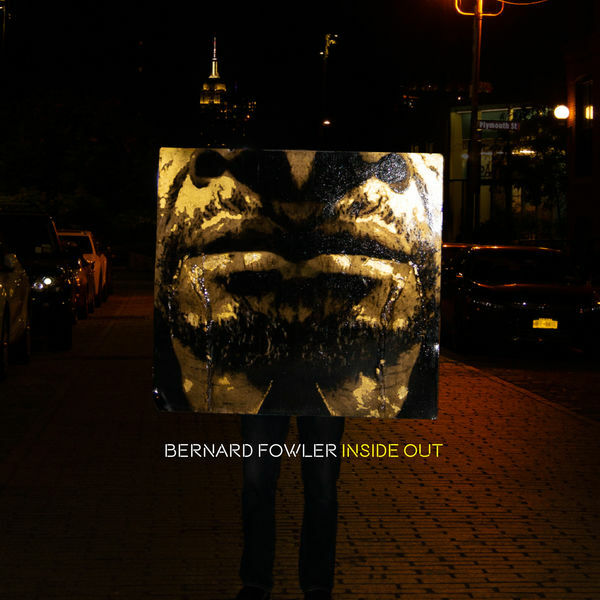 As lead backup singer for The Rolling Stones for the past 30 years, Bernard Fowler has been providing soulful depth to the best blues-based rock music in the world. But his talent and versatility surpass expectation. The singer, who takes the stage as a featured vocalist in A Bowie Celebration, will prove it on Thursday, Feb. 7, at the Orpheum downtown, and in the next few months, his new record of Stones covers will show even more of his gift for remarkable renditions of classic material. For the third year in a row, Fowler joins David Bowie’s former bandmates to sing songs from throughout the Starman’s career. Sadly, the week that Slick and the band started rehearsing for the Station to Station anniversary tour, David Bowie died. The shows became memorials but the beautiful thing was that Bowie not only knew about them before, he blessed them and Fowler singing. They gathered at an L.A. rehearsal space, and though Fowler says it didn't feel quite right, he played the show — at the Wiltern — anyway. It was a great concert featuring a diverse array of singers doing their best to pay tribute to Ziggy, the Thin White Duke, et al., in song. But Fowler says there was a “whole lot of drama” afterward so he stepped off. The conflict between a few of the key members of the show led to a splintering and two separate groups now doing Bowie tributes — one retaining the Celebrating David Bowie name and the other, featuring more core Bowie band members, opting for a new moniker, A Bowie Celebration. The latter, which takes place this week, is led by Garson, Bowie’s longtime pianist. Best known for his work on Aladdin Sane, Garson recently made a high-profile appearance playing with Trent Reznor and Nine Inch Nails during their sold-out Palladium shows. Fowler says he met Bowie a couple of times, including at an art gallery in New York, hanging out with Ron Wood, whose solo record, called Slide on This, Fowler was producing at the time. “When we were mixing that record, David came to the studio after,” he recalls. Fowler’s new record, due out in April just before the Stones' next tour begins, melds his love for the band that has employed him more than half of his life with diverse new rhythms and his gift for reinterpreting classics in a faithful yet fresh way, as he’s doing on the Bowie tour. The Stones tribute called Inside Out features an array of revered musicians, including Darryl Jones on bass and Ray Parker Jr. on guitar. The first single, his cover of "Sympathy for the Devil," is out now. “I was messing around with the idea for this record and Mick heard it,” Fowler shares. “He heard what I was doing. I actually wrote this in the liner notes, he said, ‘You know, I've heard Rolling Stones songs done many ways. But I've never heard it like that.'" Fowler once again got the blessing of the rock god he sought to pay homage to, and that’s significant, not only to fans but to the singer himself. We’ll write more about the new record when The Stones play the Rose Bowl in a few months, but in the meantime, catch the Bowie- and Jagger-endorsed powerhouse vocalist getting his “Rebel Rebel” on this week. A David Bowie Celebration: The Alumni Tour takes place at 9 p.m. on Thursday, Feb. 7, at the Orpheum Theatre.